Take a look at Elizabeth Hayes School in action. Students at Mount Alvernia choose one of two pathways to post-school options – one which may lead to further studies and one which may lead to employment or a combination of employment and further study. The University Direct Pathway (UDP) provides the option of entry into tertiary studies and the Tertiary and Industry Pathway (TAIP) provides Vocational Education that focuses on entry into the workforce. 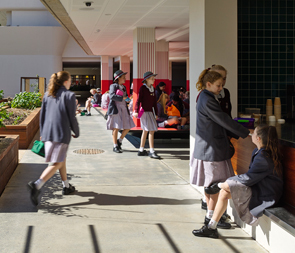 All pathways allow a student to achieve the Queensland Certificate of Education (QCE) qualification at the end of Year 12, if she gains at least a passing grade in each of her subjects and studies at least three subjects for four semesters. Each student will also receive a Senior Statement listing all courses studied and results gained, whether or not she qualifies for a QCE. Students who choose this pathway will receive a rank assigned by QTAC [SC2]which may be used to access further education at a tertiary institution if they study twenty semester units of Authority-registered subjects or a combination of Authority and Authority-registered subjects. (Authority-registered subjects are developed from Subject Area Syllabuses and, when successfully completed, contribute four credits towards the Queensland Certificate of Education (QCE). They are not used in the calculation of OPs and FPs. Two pathways are available to students to choose from depending on their career goals.